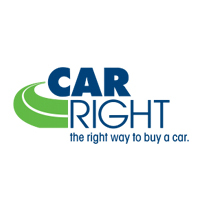 Shop CarRight Auto’s wide variety of pre-owned, used vehicles today! We also offer a selection of certified pre-owned vehicles (CPO) for customers looking for added peace of mind and extended warranty options in their purchase. Recent Arrival! CARFAX One-Owner. POWER MOONROOF/SUNROOF, BACKUP CAMERA, ROOF RAILS, 4WD, Jeep 75th Anniversary Package. Certified. Granite Crystal Metallic Clearcoat 2016 Jeep Grand Cherokee Laredo 4WD 3.6L V6 24V VVT 8-Speed Automatic Certification Program Details: All Chrysler Certified vehicles go through a thorough 125 point inspection process using authentic Mopar parts. Being a Certified Chrysler vehicles means you get the benefit of 7 year/100,000 mile CPOV powertrain warranty, a 3 month/3,000 mile maximum care coverage at a minimum, even if vehicle has no basic warranty remaining. A Carfax vehicle history report for peace of mind. ALL-WHEEL DRIVE, HEATED LEATHER SEATS, POWER MOONROOF/SUNROOF, 3.0L V6 24V TurboCharged, AWD, Charcoal, Soft Beige w/Leather Seating Surfaces, Power moonroof. Charcoal 2014 Volvo XC60 T6 AWD 3.0L V6 24V TurboCharged 6-Speed Automatic with Geartronic This vehicle is backed by a 3 month/3,000 limited Powertrain Warranty. See dealer for details. Recent Arrival! CARFAX One-Owner. Clean CARFAX. Certified. One of the "coolest" colors available, Recon Green Clearcoat 2016 Jeep Cherokee 75th Anniversary Edition 4WD 2.4L 4-Cylinder SMPI SOHC 9-Speed 948TE Automatic Certification Program Details: All Chrysler Certified vehicles go through a thorough 125 point inspection process using authentic Mopar parts. Being a Certified Chrysler vehicles means you get the benefit of 7 year/100,000 mile CPOV powertrain warranty, a 3 month/3,000 mile maximum care coverage at a minimum, even if vehicle has no basic warranty remaining. A Carfax vehicle history report for peace of mind, Odometer is 3023 miles below market average! CARFAX One-Owner. Clean CARFAX. Bright Silver Clearcoat Metallic 2015 Ram 1500 Laramie 4WD HEMI 5.7L V8 Multi Displacement VVT 8-Speed Automatic Awards: * 2015 KBB.com 15 Best Family Cars * Green Car Journal 2015 Green Truck of the Year Based on 2017 EPA mileage ratings. Use for comparison purposes only. Your mileage will vary depending on how you drive and maintain your vehicle, driving conditions and other factors. Reviews: The exterior of the Ram 1500 is re-engineered to look and perform better. From the displays to the stitching, it's the most sophisticated Ram Truck experience yet. The 7-inch premium customizable screen lets you know what's going on inside, outside, and under the hood. With the Uconnect Access System, your truck can do double duty as a mobile office or entertainment center. The available 8.4-inch touchscreen offers available features like interior climate control and 3-D terrain maps. Bluetooth wireless connectivity, voice command, and steering wheel-mounted buttons mean you're always in complete control. Ram 1500 is the only light-duty truck in the U.S. with an available eight-speed transmission offering superior acceleration in low gears. Pair that with a 4-corner air suspension that keeps heavy loads level and you'll keep your payload on the right road. Dynamic front crumple zones and side-impact door beams help absorb impact forces from every angle. Ram 1500 side occupant protection system includes side-curtain airbags and side-impact door beams. CARFAX One-Owner. Clean CARFAX. Cloth. Gray 2016 Honda Civic EX FWD 2.0L I4 DOHC 16V i-VTEC CVT This vehicle is backed by a 3 month/3,000 limited Powertrain Warranty. See dealer for details. Odometer is 2807 miles below market average! 31/41 City/Highway MPG Awards: * 2016 IIHS Top Safety Pick+ (When equipped with honda sensing) * NACTOY 2016 North American Car of the Year * 2016 KBB.com Brand Image Awards 2016 Kelley Blue Book Brand Image Awards are based on the Brand Watch(tm) study from Kelley Blue Book Market Intelligence. Award calculated among non-luxury shoppers. For more information, visit www.kbb.com. Kelley Blue Book is a registered trademark of Kelley Blue Book Co., Inc.
Power Seat, Power Rear Sliding Window, 20" Wheels, 8.4 Touch Screen, Adjustable Foot Petals, Tow Package, Back Up Camera, and Dual Exhaust are some of the excellent features this truck has. Recent Arrival! Clean CARFAX. HEMI 5.7L V8 Multi Displacement VVT. billet silver metallic clearcoat 2019 Ram 1500 Big Horn/Lone Star 4WD HEMI 5.7L V8 Multi Displacement VVT 8-Speed Automatic Odometer is 1977 miles below market average! New vehicle pricing includes all offers and incentives. Tax, Title and Tags not included in vehicle prices shown and must be paid by the purchaser. While great effort is made to ensure the accuracy of the information on this site, errors do occur so please verify information with a customer service rep. This is easily done by calling us at (412) 264-4270 or by visiting us at the dealership. **With approved credit. Terms may vary. Monthly payments are only estimates derived from the vehicle price with a 72 month term, 6.5% interest and 20% downpayment.